Monell Williams, the United Workers Party (UWP) candidate for the St. Joseph constituency has become Dominica's newest senator. Williams was sworn in by House Speaker Alix Boyd-Knights at a meeting of Parliament on Tuesday. "If you're looking for guidance and leadership, you look to us," said Prime Minister Roosevelt Skerrit while congratulating the new senator. 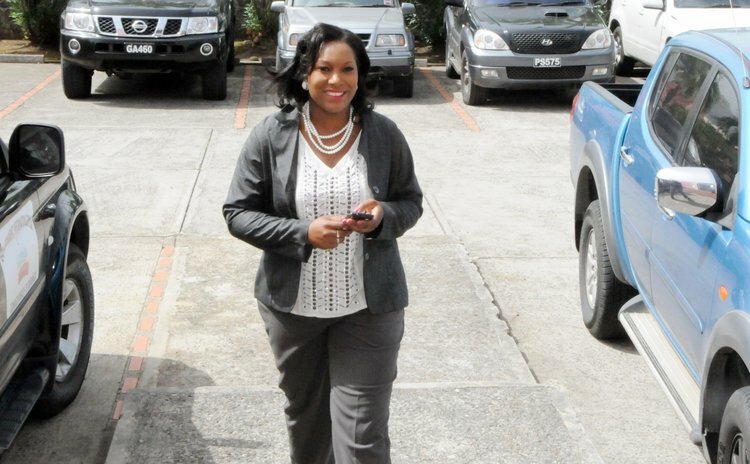 Senator Williams was also welcomed by Senator Tamie Jean Jacques of the Dominica Labour Party (DLP) who advised Williams that she should be conscious of the fact that her words and action will be under more scrutiny than if she was a male member of parliament. "Since the last election I've served as the only female senator in the Parliament and so I am happy that today the opposition has taken the opportunity to include a female to their side," Jean Jacque said. "As a member of Parliament you have brought us closer to our goal of at least 33% female representation in parliament." Williams said she was honoured to be among the female parliamentarians who had been appointed or elected over the years. "I will speak; I will make viable contributions to the women of this country; I will make viable contributions to the youth of this country in the House," she said in Parliament. "I will make viable contribution to the St. Joseph constituency when I get to parliament in the up-coming elections". Williams replaced Ronnie Isidore in parliament whom the UWP recently withdrew as its candidate for the Mahaut constituency.